There is a lot of wisdom in fortune cookies. They should give them to you before the meal! 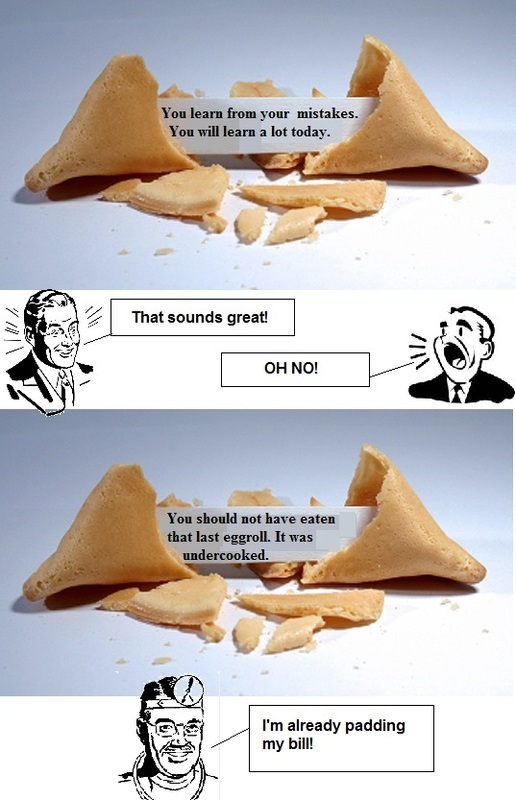 Check out the previous Misfortune Cookies!